The lush jungle terraces and brilliantly vivid gardens overlook the sparkling ocean. Central Pacific coast, Manuel Antonio area. Sí Como No is open year round. 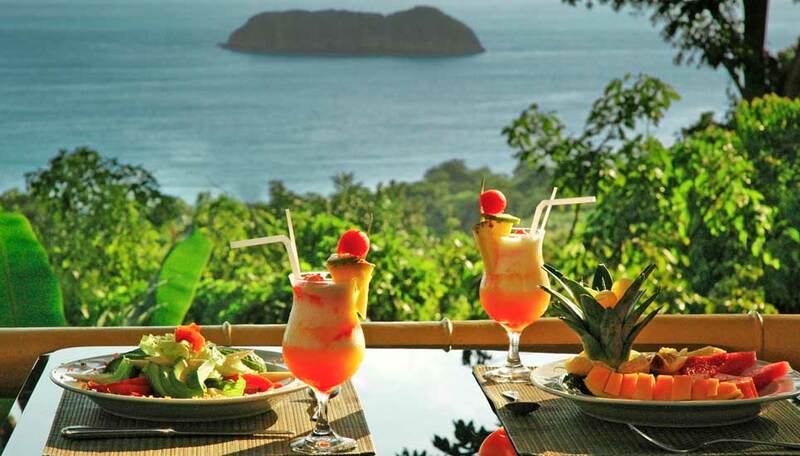 This is a hidden piece of paradise built into the terraced hillside close to the famous Manuel Antonio National Park. The unique design offers maximum comfort and enjoyment of the surroundings while having as little impact as possible on the environment. The atmosphere here is friendly and tranquil whether you are enjoying a drink at the swim-up bar, lounging by the pool or a meal in one of the two excellent restaurants. 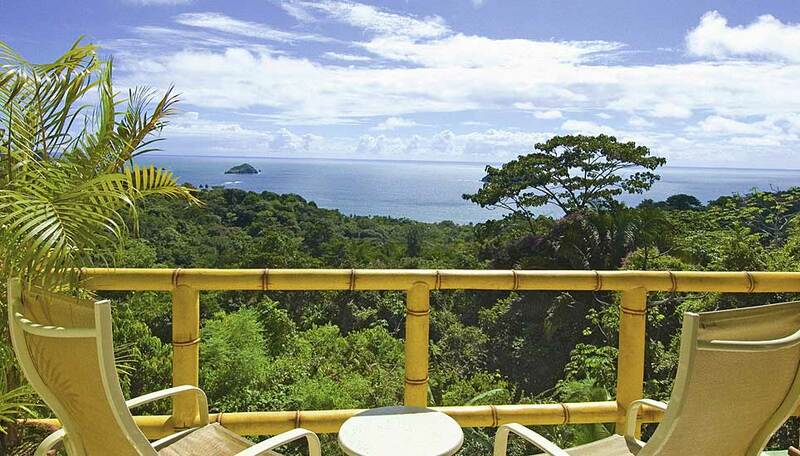 The rooms are all set into the hillside, on different levels, with jungle and ocean views. Most have private balconies and all are spacious, modern and provide the perfect setting for relaxation. You can enjoy the wildlife from your window as there is plenty in the vicinity, from monkeys to iguanas and of course the birdlife which Costa Rica is famous for. Why go to Sí Como No? The hotel is easily accessible and is the perfect base for exploring the rich natural surroundings. 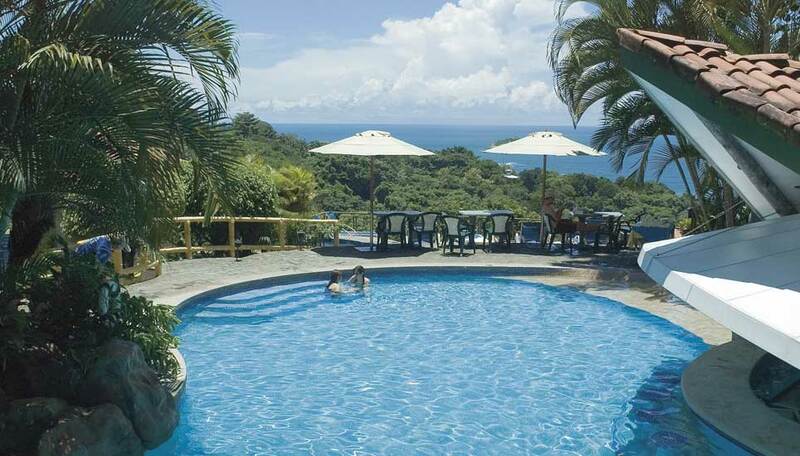 There is an array of activities available, both on the 4 hectare site of protected tropical forests belonging to the hotel, and in the nearby Manuel Antonio National Park. Intersperse your activities with some down-time at the spa where you can enjoy a relaxing treatment, or just lounge at the pool – one pool is for families and the other for adults only – a perfect arrangement. With a complimentary shuttle service down to the beach, Sí Como No has everything you need all in one place. The location of this boutique hotel is fantastic. It has its own wildlife refuge where they are hard at work with conservation efforts for both flora and fauna and it is also a stone’s throw from the popular wildlife hub of Manuel Antonio National Park. Here you can expect to find the squirrel monkey and you will also see the two of the other species present in Costa Rica – the howler and the white-faced capuchin monkey. The birdlife is plentiful as you would expect and there are also the smaller insects and animals to try to find. The wildlife refuge at the hotel also serves as an education centre, your guide has a wealth of knowledge and he will be only too happy to share this with you. A real treat for nature lovers, pairing close-up wildlife encounters in the Galapagos Islands with outdoors adventures in Costa Rica. Not to be missed! 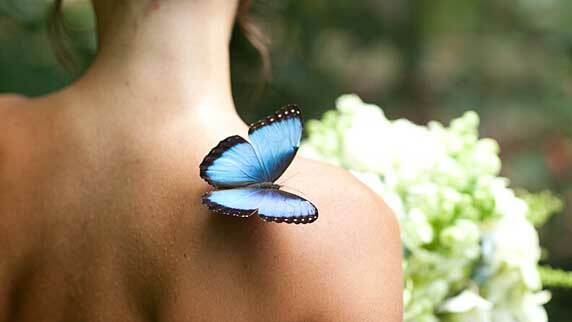 A full buffet breakfast, entrance to the movie theatre and butterfly garden are included. There is a complimentary shuttle service to the beach. Sí Como No has a total of 52 rooms made up of Standard, Superior, Deluxe, Deluxe Suite and Honeymoon. All the rooms have en-suite facilities, mini bar, air conditioning, ceiling fans and a safe. Standard rooms have jungle views and 2 queen size beds Superior rooms have partial ocean and/or jungle views from the balcony. Some have queen size beds, and some are king size. 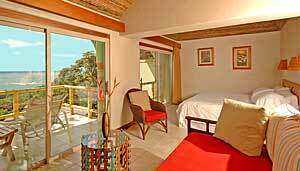 Deluxe rooms have panoramic views of the ocean and jungle and a private balcony with jungle views. The rooms are spacious with a high beamed ceiling. The beds are king size and some also have a split level sitting area Deluxe Suites, these are spacious, overlooking the ocean and the jungle coastline. The have king size beds and an adjoining sitting area with a sofa bed. Each has a private balcony with spectacular views. Honeymoon Suite. This beautifully decorated suite is the perfect honeymoon getaway. Spacious with a sunny private balcony, king size bed, sitting area also with panoramic views of the jungle and ocean. Modern bathroom complete with Jacuzzi. Children under 6 stay free. Children 6 and over pay US$ 30 plus tax per night when sharing a room with their parents. There is free WiFi in all rooms and also in the main areas. All rooms have telephones and there is a good cellular signal. 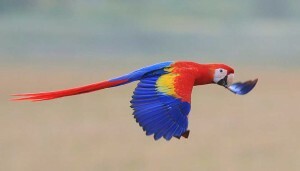 We know and love Costa Rica, and would be delighted to help you plan your perfect Costa Rica holiday. 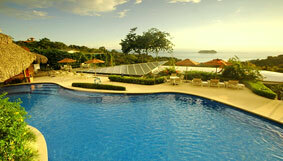 Call 01473 599085 and speak to one of our Costa Rica travel specialists today.